Dr. Josephson’s professional interests include endoscopy, acid disorders, inflammatory bowel disease, hepatobiliary disease, and GI cancers. He is a fellow of the American College of Physicians (ACP). Dr. Josephson is a member of the American College of Gastroenterology (ACG), the American Society of Gastrointestinal Endoscopy (ASGE), the Crohn’s and Colitis Foundation of America (CCFA), the Mecklenburg County Medical Society (MCMS), the North Carolina Medical Society (NCMS) and the North Carolina Society for Gastroenterology (NCSG). He is originally from the New York area. 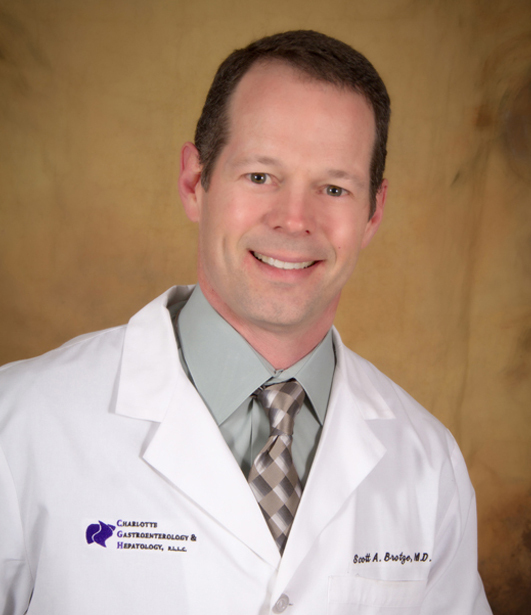 During his free time, Dr. Josephson enjoys playing tennis, water skiing, snow skiing, and taking trips to the beach. 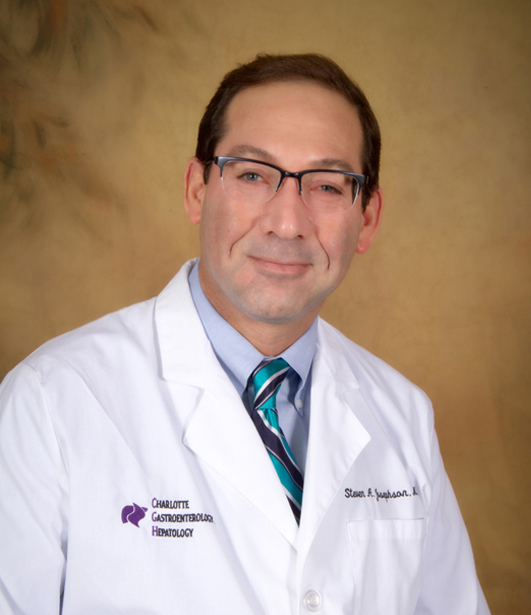 Dr. Brotze joined Charlotte Gastroenterology & Hepatology in 2003 and is the former chairman of the Endoscopy Division at the Novant Huntersville Medical Center. He is a member of the American Society for Gastrointestinal Endoscopy (ASGE), the Crohn’s and Colitis Foundation of America (CCFA), the Mecklenburg County Medical Society (MCMS), the North Carolina Medical Society (NCMS), and the North Carolina Society for Gastroenterology (NCSG). In his spare time, Dr. Brotze enjoys fitness and spending time outdoors. He lives in Huntersville with his family and has two children in college. Dr. Thangavelu attended medical school at SUNY: Brooklyn, Downstate College of Medicine where she was a member of the Alpha Omega Alpha Honor Medical Society. 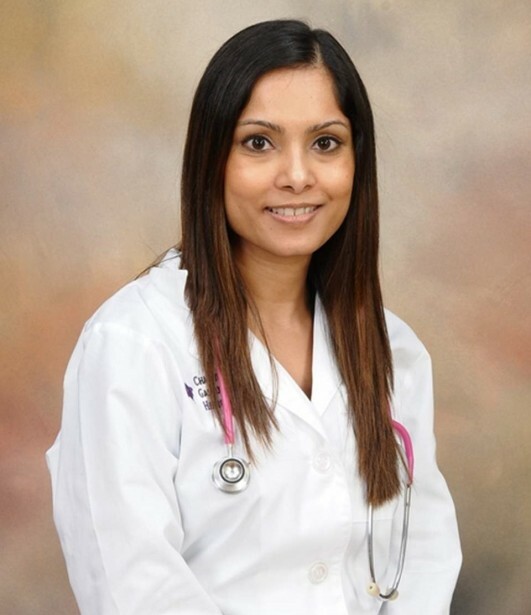 After completing her residency and fellowship, Dr. Thangavelu practiced gastroenterology for seven years with a large multi-specialty practice in New York. She joined Charlotte Gastroenterology & Hepatology in 2016 as part of the Lake physician team. Dr. Thangavelu enjoys gastroenterology because of the balance this specialty offers between spending time with patients in a clinical setting and being able to perform procedures. In her free time, Dr. Thangavelu enjoys traveling and trying new restaurants. She lives in Huntersville with her husband and their two sons. 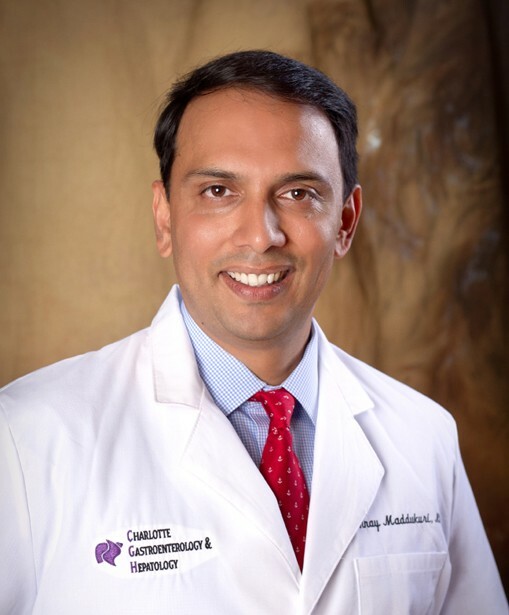 Dr. Maddukuri joined Charlotte Gastroenterology & Hepatology in 2016 after completing his fellowships in gastroenterology and hepatology, advanced hepatology and clinical and translational research, and transplant hepatology at Carolinas Medical Center. His professional interests include liver disease and inflammatory bowel disease. Dr. Maddukuri believes in thoughtful decision making based on existing scientific evidence and judicious use of endoscopy and other available tools. He also believes in making patients active partners in their own care. He is a member of the American College of Gastroenterology (ACG), the American Gastroenterological Association (AGA), and the American Society of Gastrointestinal Endoscopy (ASGE). Dr. Maddukuri’s decisions to pursue medicine and gastroenterology were influenced by various professional and personal experiences. He had early exposure to science as both his parents were PhDs who worked as professors in their local community college. He lost several family members to cancer and personally suffered liver related illness as a child. These early experiences paved Dr. Maddukuri’s path to medical school, where his favorite professors happened to be gastroenterologists. Outside of practicing medicine, Dr. Maddukuri’s interests include hiking, history, and politics. He’s also an avid sports fan. His favorite teams are the Indian cricket team and the Carolina Panthers. Dr. Maddukuri lives in Charlotte with his daughter. Chris Maambo is a certified physician assistant who works at Charlotte Gastroenterology & Hepatology’s Huntersville and Randolph Road offices. He enjoys investigating and treating diseases of the gastrointestinal tract. Chris’s primary philosophy of care is to treat patients the same as he would his own family members. He is an active member of the American Academy of Physician Assistants (AAPA) and the North Carolina Academy of Physician Assistants (NCAPA). After receiving his bachelor of science in biology from the University of South Carolina, Chris graduated with honors from Saint Francis University with a medical science/physician assistant master’s degree. He has been providing top quality medical care in the fields of gastroenterology and internal medicine ever since. Chris has two young daughters. Staying true to his alma mater, he is a huge Gamecocks fan who enjoys spending time with his family, playing soccer, working out, and taking long walks. Megan is a certified nurse practitioner who joined Charlotte Gastroenterology & Hepatology in 2017. Before coming to CGH, she spent 11 years working as a nurse practitioner at a gastroenterology practice outside of Charlotte. While receiving her medical education and training from the University of North Carolina at Chapel Hill, Megan began her membership in the Sigma Theta Tau International Honor Society of Nursing. She is also a member of the American College of Gastroenterology (ACG). Megan is originally from Shelby, NC. During her free time, she enjoys practicing yoga and spending time with her chocolate labrador retriever. 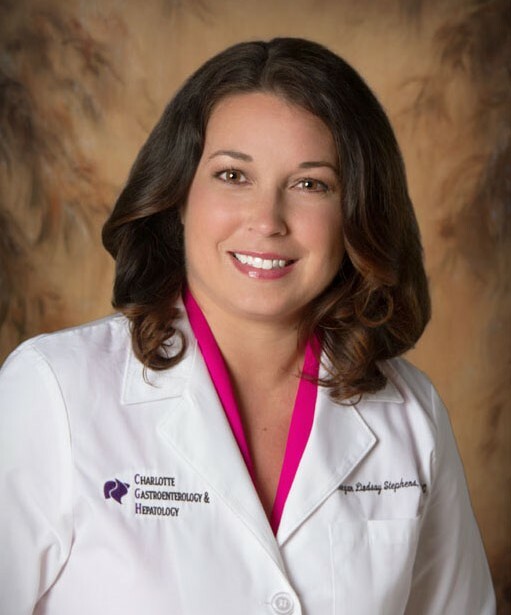 Mary F. Magee, MS, RDN joined the Charlotte Gastro team of providers in November 2017 as a registered dietitian, offering professional, client-centered nutritional care to our patients. She received her bachelor of science in nutritional science from the University of New Hampshire and her master of science degree in biology/nutrition from the University of Bridgeport in Connecticut. She brings over 20 years of nutritional experience in nutritional counseling, education, and multidisciplinary collaboration from her experience at Southcoast Nutritional Services. Mary is a member of the Academy of Nutrition and Dietetics, the American Association of Diabetes Educators, as well as the Charlotte Area Dietetic Association. Prior to joining CGH, Mary worked in both the acute care (hospital) setting as well as the physical rehabilitation setting, providing personal nutritional care for patients with many medical and health conditions. Mary’s approach to nutritional care focuses on the patient, providing individual medical nutritional therapy, listening to their needs and empowering them to improve their quality of life through positive lifestyle changes while promoting balance.